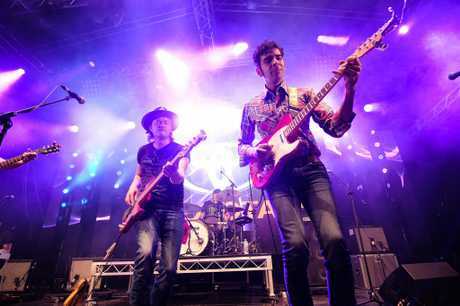 THE annual Tamworth Country Music Festival has started with a cracker of a night. 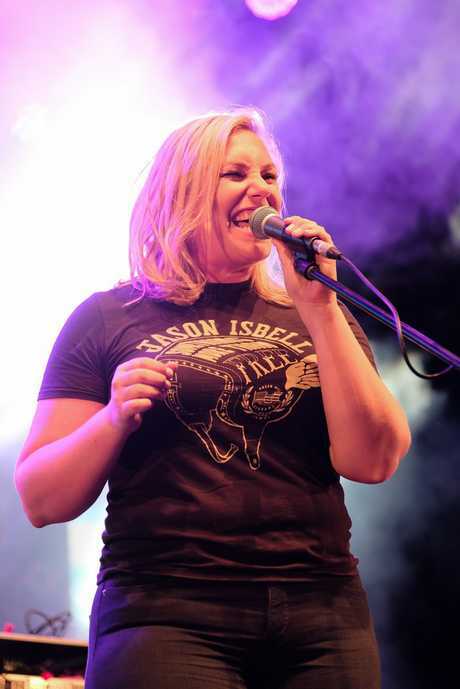 The 46th festival kicked off with an opening concert hosted by Tamworth's country music sweetheart, Felicity Urquhart. 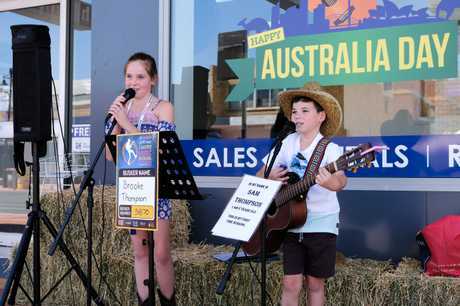 Felicity started out busking on Tamworth's Peel Street when she was 11 years old and said her four and six-year-old daughters are following in her footsteps this year, busking on the same street with their two older cousins. The 41 degree day didn't deter thousands who tipped their Akubras to the hot sun and set up their chairs in the shade around the stage at Toyota Park for the free concert which kicked off with a group didgeridoo and string instruments piece. The featured performances started with Sydney band Simply Bushed singing about the Holden factories closing down. This was followed with a solo set by last year's Toyota Busking Champ, Tim Scanlon. 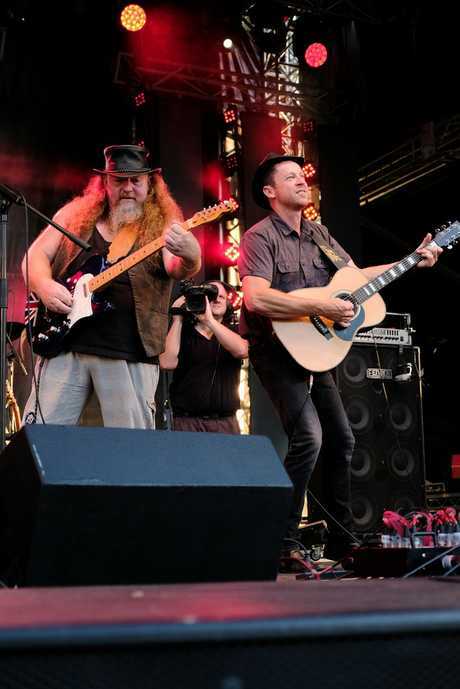 The guitar and harmonica playing Victorian said he has been busking around the world for 20 years and "to come back and be able to play on the stage after playing on so many streets is incredible." The crowd then heard brand new music from 18-year-old New Zealand artist Jenny Mitchell. Fresh from recording his latest album, Whisper in the Crowd, country music vocalist Paul Costa wowed the crowd with a 15 minute long set. 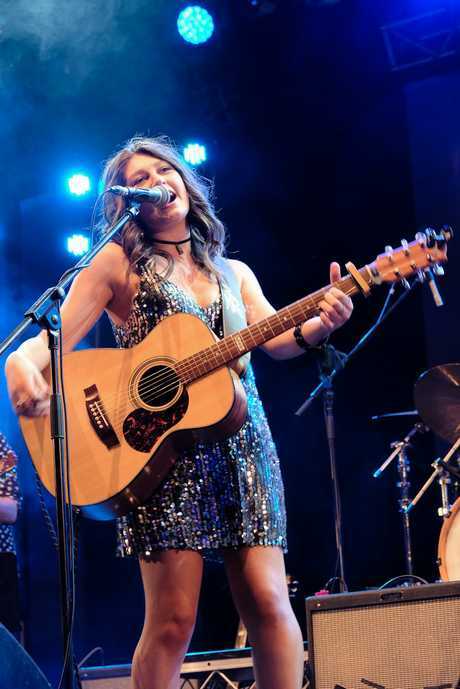 Next up was singer-songwriter and Golden Guitar finalist, Gretta Ziller with songs off her album Queen of Boomtown, that has been getting a lot of airtime on ABC Country Radio. She was then joined on stage by Andrew Swift. Musician Troy Kemp started out as one half of award winning duo McAlister Kemp before launching his solo career with album, Against the Grain. He performed songs off this album to the thousand strong crowd as evening brought a welcomed reprieve from the heat. This time last year, Rachael Fahim was nervously waiting to go on stage for the Toyota Star Marker competition. The young guitarist was crowned the winner of Star Maker 2017 and this year graced the Toyota Park Stage. Back from busily touring the country and recording an album with mate Amber Lawrence, Golden Guitar winner Travis Collins was next on stage. 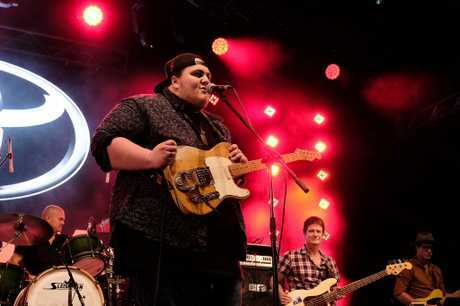 He was followed by winner of The Voice and Ipswich lad Judah Kelly, whose album has been selling with chart topping success. The live entertainment stopped for a spectacular fireworks show before resuming with the largest group to perform yet - 28 graduates from the CMAA Academy. 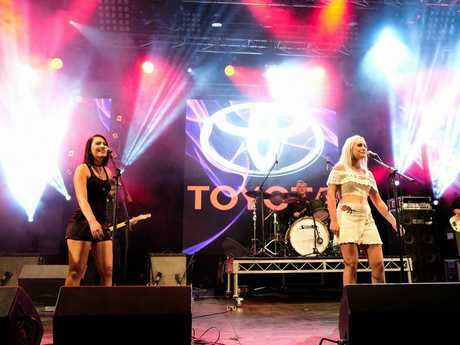 Next up, all the way from Tamworth, was local band The Spurs featuring singers Tori Forsyth and Aleyce Simmonds. The event wrapped up with special guests - a four-piece band all the way from Canada, The Dungarees. 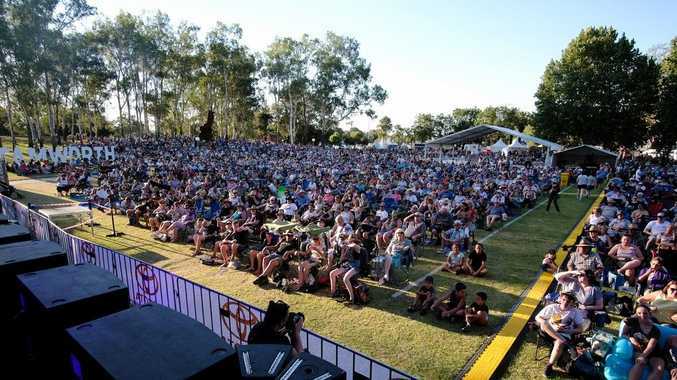 Festival goers started arriving in the New England town on Wednesday for the 10-day long festival featuring some of the biggest names in country music such as Lee Kernaghan, Melinda Schneider, Troy Cassar-Daley, Kasey Chambers, The McClymonts, Sara Storer and more. Tamworth's main street, Peel Street, has been closed off to traffic to accommodate several pop up stages, numerous stalls and hundreds of buskers of all ages who will perform each day. More performances can be seen daily in other venues in and around Tamworth city centre. 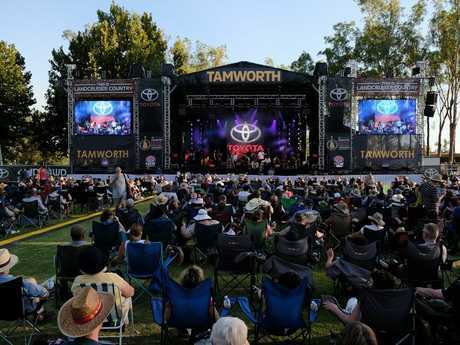 The finale of the 46th Tamworth Country Music Festival is the Golden Guitar Awards on Saturday, January 27. 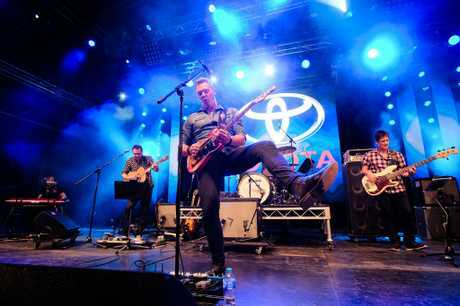 The awards night is one huge show showcasing the cream of Australian country music artists where fans can rub shoulders with some of the biggest names in country music. Planning has already started for the country music festival's 50th event in 2022. Alexia Purcell is a journalist for News Corp's News Regional Media and currently lives in Tamworth.